Three months ago, I visited Catherine Maria Chapel’s studio in Paris shortly before she moved it to the centre of Brussels. I wanted to familiarize myself with her artistic universe before the beginning of her residence at the Serlachius museum in Mänttä (Finland). The duality existing between her abstract watercolour paintings (marked by crescendos of intense tones and raw pigments magnified by multilayered transparencies) and her pictures (ethereal, stretching space and time in a largo, sotto voce movement to reach a climax of silence and eternity) was what struck me most. 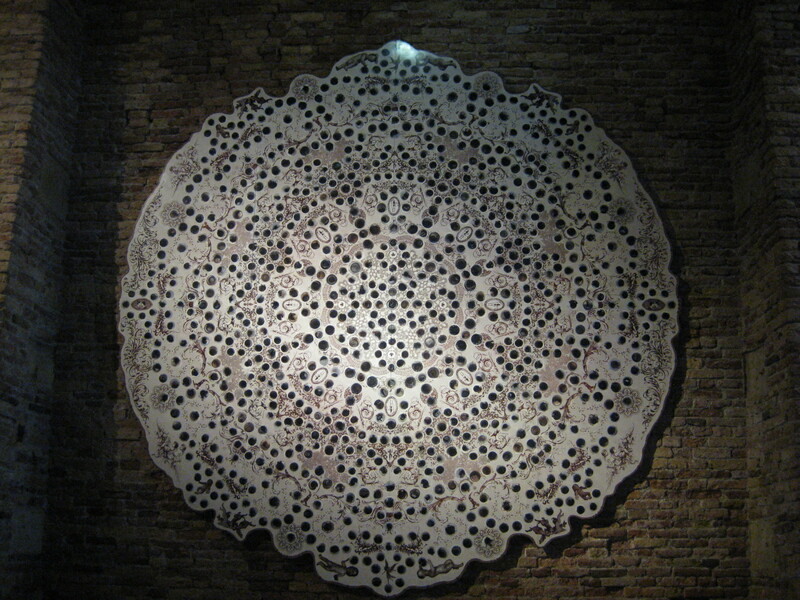 The rhythmic opposition between the artist’s use of these visual techniques creates harmony and consistency, as if they were each other’s oxygen. In that context, it comes as no surprise that during her residence at the Serlachius museum throughout June 2017, Catherine Maria Chapel has worked on both photography and painting (producing an astonishing amount of pieces). Her closing exhibition titled “Finlande intérieure”*, meaning “Inner Finland”, is the result of the artist’s first impressions when arriving in Mänttä and being confronted with the “infinite poetry of the landscapes”. “Is every spring in Finland like the rebirth of the world?” “How do people resonate with the eternity and grave intensity imprinted in the landscapes?” these turned into guiding questions. The photo exhibition shows a series of generous black&white portraits and landscapes: the Finnish summer light seems to sculpt them says Catherine Maria chapel in a recent interview (www.kmvlehti.com, 15th June 2017) and it releases people’s bites of “eternity and grave intensity” as if Finnish landscapes blossomed in people. The midsize watercolour paintings displayed at the residence studio are abstract landscapes covered with skins made of Serla greaseproof kitchen paper (Serla is a brand known nationwide that is produced in the factory just opposite the studio). “I had forgotten to bring my usual paper, and while awaiting for its arrival, I turned to Serla’s to get started”. This paper that is apparently not in production anymore literally drank her watercolour mixtures and gave birth to unexpected patterns that she recognized in the surrounding nature. Catherine Maria Chapel’s story with Finland is only beginning. She is a fine connoisseur of Helene Schjerfbeck’s portraits (some reproductions hang on the walls of her atelier) and she is also fascinated by Pekka Halonen’s winter landscapes in such a manner that she plans to return in the winter season next to discover the peculiar illumination coming from ice and snow, the vegetal rebirth under the snow, etc. The Arts Night is one of the most attended arts events in Helsinki: museums and galleries open their doors late, all kind of spaces (studios, libraries, restaurants, shopping malls, parks, homes…) organize happenings and the streets are crowded with people of all ages. Out of the many events taking place this 25th August (http://www.helsinginjuhlaviikot.fi/taiteidenyo/), I recommend not missing the meeting with Warren King at Galleria Sculptor just across the Kaupatori/Kauppahalli (Etäläranta, 14 – see map below). This Stockholm-based American artist (soon to be living in NYC) will certainly inspire you: firstly because his path to art was not typical. Instead of art school, he studied to be an engineer and worked in construction for several years. And then he jumped on the technology wave and worked for software startups in Palo Alto for over 10 years. It was always a loving hobby for him to amuse his children by making masks and costumes, but it was only three years ago that he took THE big “creative” leap and turned this hobby into an art career making stunning cardboard sculptures. This quest to reach out to our creative selves is in the air of our “innovation” intensive era and Warren King is a remarkable example of how creativity can turn into artistry and bring out a world of shared emotions. The second reason I recommend meeting Warren King and his art work this Thursday (the show runs until 4th September), is the manner in which he tackles the issue of “identity”. The catalyst to his artistic work was the return visit of his entire family to their ancestral village in China, a village his grandparents left after the Chinese Civil War. The people and the surroundings had not changed much, which was surprising considering the speed at which China destroys its villages to be able to build cities. But this reinforced the feeling of belonging to the place. 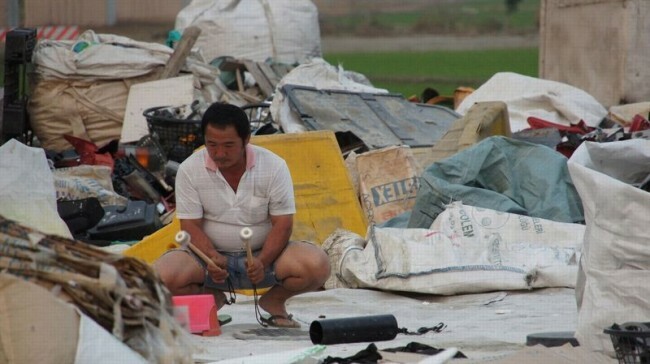 King was born and raised in the US, so the reconnection to this village was very emotional — especially because several villagers that he met on the street that day actually remembered, and resembled, his grandparents from 50 years ago. But soon King experienced the limits of his newly “recovered ” Chinese identity: because he was the product of another culture, this Chinese heritage could never be fully restored. Where do migrants belong? This is certainly a rich area to explore, because so many of us are expatriates at one moment of our lives and build our belonging to several cultures, tie our personal history to several places, sometimes not even reflected in our names or IDs but present forever on our minds, in our behaviors, our ways to fathom the world around us, even unconsciously. In his Helsinki exhibition, King has rebuilt this encounter with people in his grandfather’s village of origin in China, creating a human-size cardboard sculpture per encounter: an old couple here, a man watching him pass by there, etc. This project to recreate the villagers as sculptures seems to be a quest by the artist to understand who he is. Finally, in this exhibition you will also be able to admire the meditative piece “find yourself lose yourself” by TN10, the exciting artistic collaborative team of King and Joanne Grüne-Yanoff. Kudos to Galleria Sculptor that had the brilliant idea of inviting King and signing the thrilling debut of TN10. More information about King can be found on his website: www.wrnking.com; TN10’s website is www.TN10art.com. 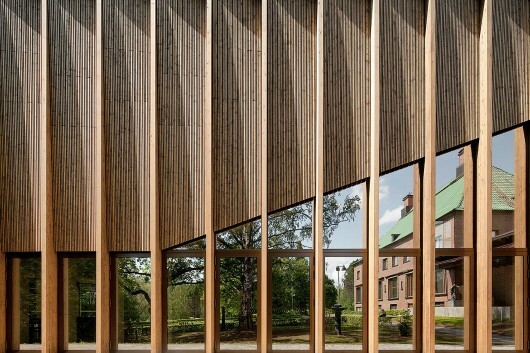 Finnish museums usually work on tiny budgets, but despite this constraint, they often produce wonders. At the Serlachius museum in Mänttä (wwww.serlachius.fi), you can enjoy a pearl of an exhibition until April 26th – and the museum itself is a jewel. Finally, the possibility to explore the work of well-known Northern neo-rococo artists from the turn of the 19th century in an unfamiliar light – namely, historical painting – is a further reason to definitely visit this exhibition. Foremost, this exhibition comes at a time when the neo-rococo movement and retrospective reflection upon it are very much in vogue. (Sophia Coppola’s film Marie-Antoinette springs to mind, as well as the current trend to turn towards the philosophers of the Enlightenment, especially to Voltaire, in the aftermath of the Paris terrorist attacks last January). Look into your past to master your future. If ever this mantra could be applied to an exhibition, it would be this one. 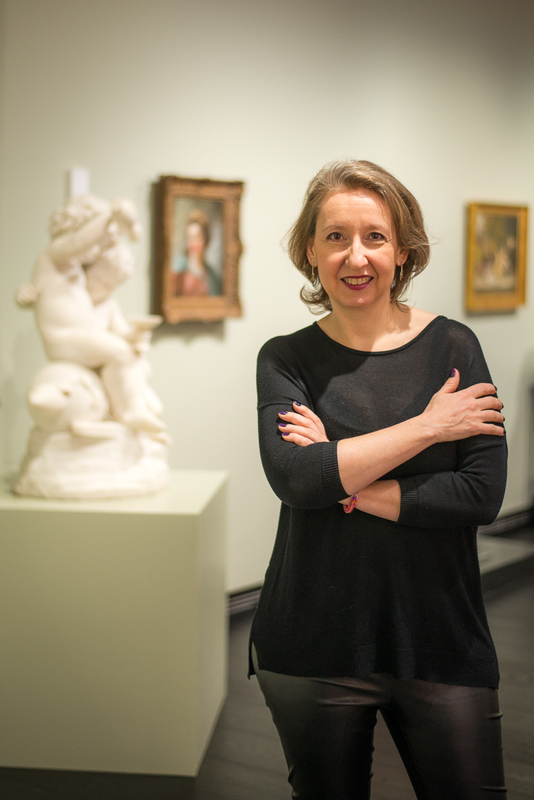 Art HotSpots (ArtHS) met its commissioner, French art historian, Laura Gutman. 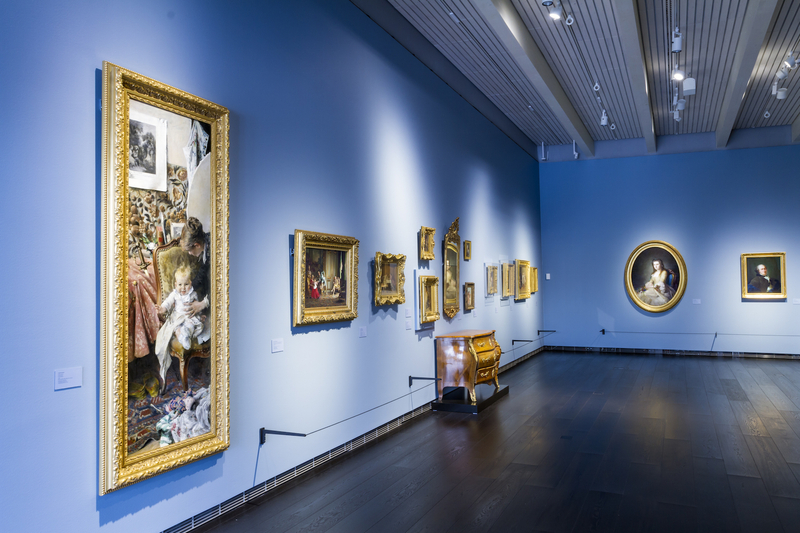 ArtHS: To Finns visiting the exhibition “Neo-Rococo and the North”, it might be surprising to discover that Helen Schjerfbeck or Albert Edelfelt painted historical scenes or works including costumes inspired by the French rococo. What were the circumstances behind it? detail, there are signs of a renewed interest in the 18th century revival. 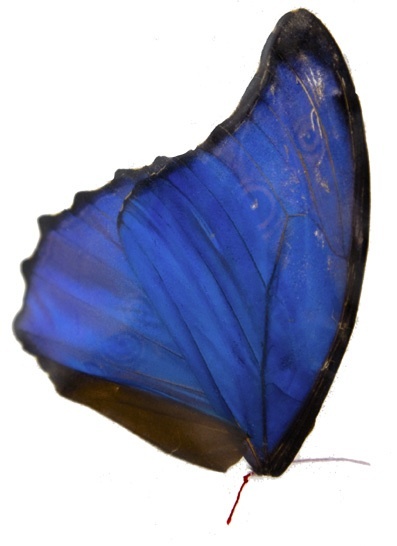 For example, carte blanche has been given to the famous fashion designer Christian Lacroix at the musée Cognac-Jay in Paris, resulting in signs of “l’air du temps” at the museum. Applied to Nordic art, Neo-Rococo is a discovery. Albert Edelfelt or Gunnar Berndtson are no surprise, but the names Magnus Enckell, Akseli Gallen-Kallela or Helene Schjerfbeck do not come quite so naturally to mind. Neo-Rococo has been despised by modernity for being kitsch, but in failing to understand the period, a key moment in art history is forgotten. In the 19th century, history painting had always been the paragon of art, but was no longer offering substantial commissions. 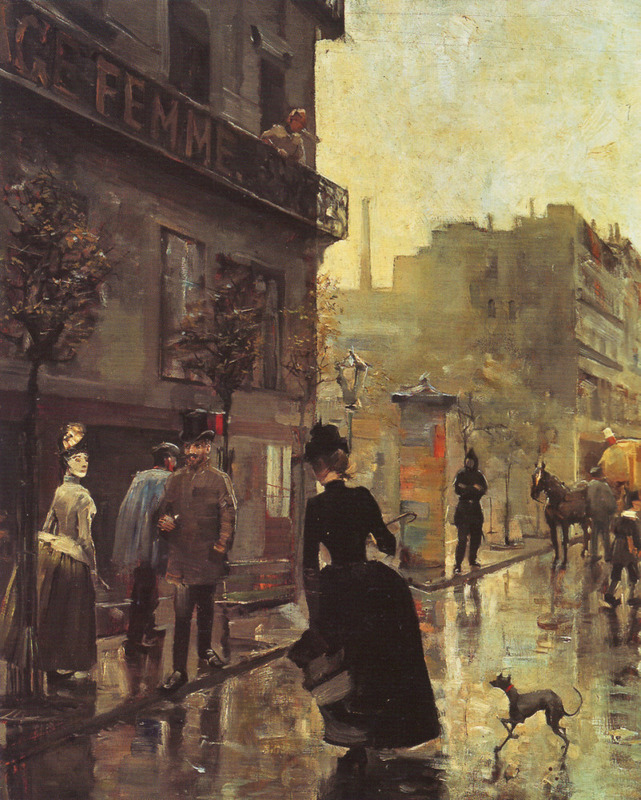 Painters trained at Ecole des Beaux-Arts created a new genre and market for themselves by painting historical scenes. These scenes were easily understandable, were well painted according to the old standards, and were more valuable than any Impressionist painting of the time. They were also highly appreciated by the new bourgeoisie. 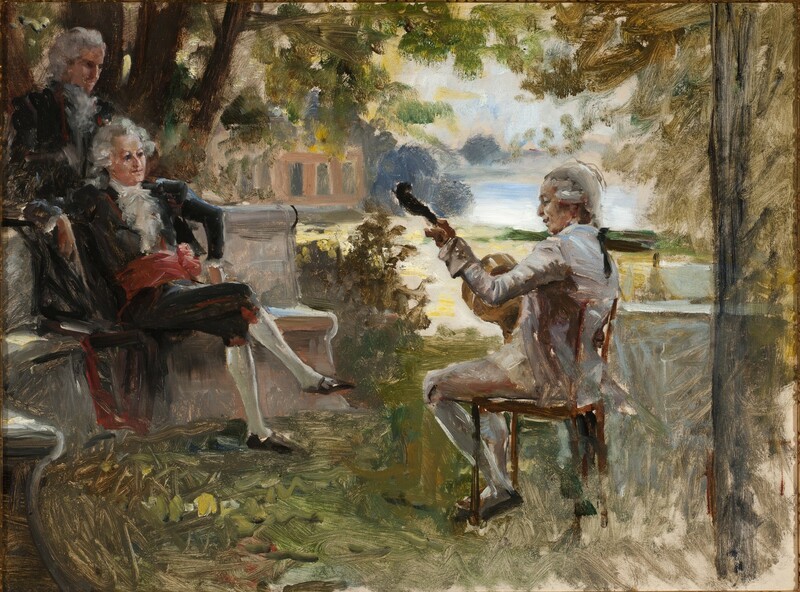 With his rather small formats, Ernest Meissonier was the most expensive artist on the market, and there was a niche for a number of followers. 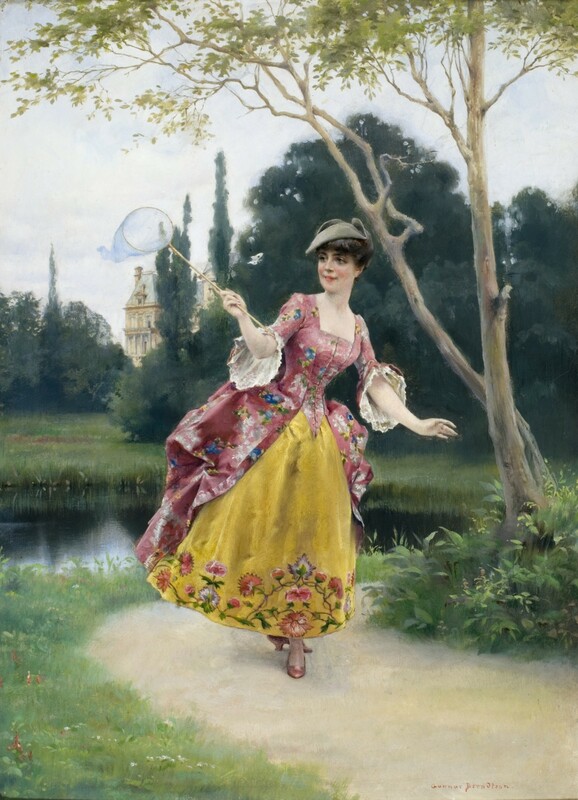 The 18th century period conveyed an image of charm and pleasure which always inspires nostalgia. ArtHS: What specific political dimension is present in the Finnish Neo-Rococo? Laura Gutman: Up to the late 19th century, the Gustavian period had been neglected, regarded as a military failure. Famous Swedish portraitists, celebrated in France, where they had built up their career, were rediscovered in the wake of Neo-Rococo by French art lovers. With growing Russian pressure on Finland, the earlier relationship with Sweden was remembered by the Finns with more complacency. Neo-Rococo gradually took on a political dimension in Finland, balancing between the remains of a glorious past and the ignorance of the new rulers. Before the Kalevala took up the mantle of forging an independent past, the Gustavian era appeared as a lost paradise. ArtHS: In the current exhibition there are few contemporary pieces that highlight the continuous return to the rococo era in art. Today’s interest in this historical era is not limited to the rococo and its apparent aspiration to enjoy and experience the pleasures of life, but rather seems to be an active striving to structure ideas (paradigms for a new civilization) as was typical of the Enlightenment. 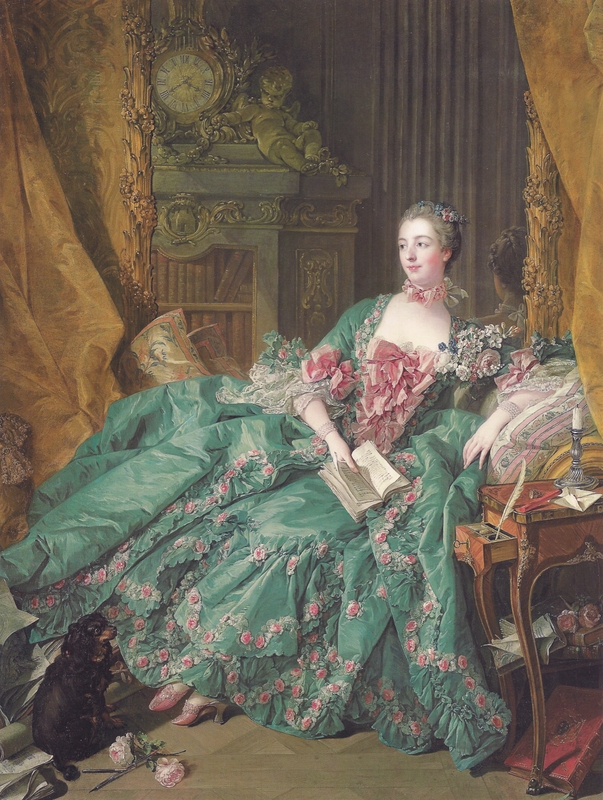 More than an expression of nostalgia for a certain part of European history, isn’t Neo-Rococo a craving for profound insights that blur the boundaries between Rococo and Enlightenment? reaction towards Rococo, which was, like the Pompadour style, ridiculous. Liberty was conceived as a reaction towards libertinism. The amalgam was made later by readers of the brothers de Goncourt, who were involved in the whole 18th century revival, including the Directory. A sort of fixed image, influenced by costumes and interior decoration, erased all the nuances of a rather complex intellectual period. The opening of the exhibition at the Gösta Serlachius Museum came a few days after the Charlie Hebdo events in France. 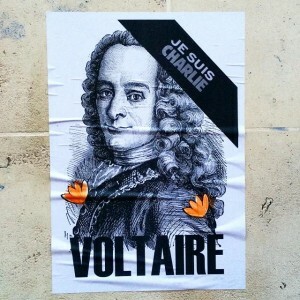 I was amazed when I realised that Voltaire is referred to repeatedly to counter our contemporary Obscurantism. Ever since the French Revolution, the 18th century has been revisited and instrumentalised to serve different purposes – from nationalism to fashion style. 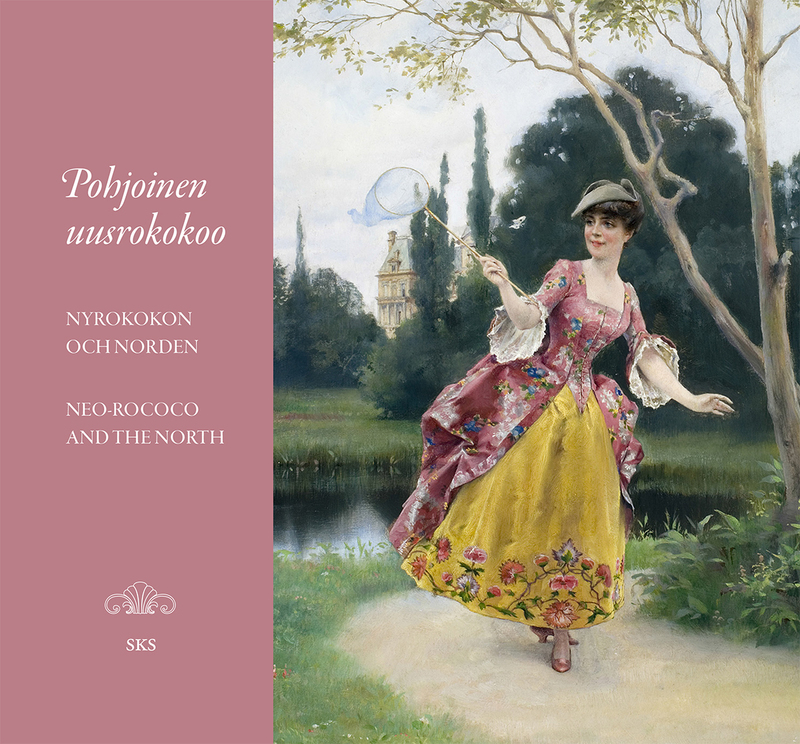 “The Neo-Rococo and the North” can be viewed at the Serlachius museum in Mänttä (wwww.serlachius.fi) until April 26th . Its trilingual velvet cover catalogue (in Finnish, Swedish and English) is conceived as a real book with numerous comparative illustrations from the rococo and Enlightenment eras, and can be ordered from the Akateeminen bookshop. www.akateeminen.com. To learn more about the Neo-Rococo and the North, listen to Laura Gutman, the commissioner of the exhibition, speaking postcards. Click on the soundcards to listen to her comments (in French, text in English). The Venice Biennale celebrates its 120th birthday with a much anticipated 56th edition named “All the world’s futures”. It will gather 89 exhibiting nations (see full list http://www.labiennale.org/en/art/exhibition/national-participations/) and the Padiglione central (main exhibition) alone will showcase 159 pieces from 53 countries curated/commissioned by Okwui Enwezor, the artistic director of the Biennale and current director of the Haus der Kunst in Munich. If we add the 44 official collateral events to what is considered the largest contemporary art event in the world – or this ” Parliament of forms” as Enwezor calls it, it bears the promise of an unprecedented cultural and artistic diversity. The title “All the world’s futures” calls the 54th edition (2011) back to mind and the Arab spring that illuminated the Biennale then, making all futures and all dreams possible: it turned the Egyptian pavilion into a pilgrimage place (Ahmed Biasony last video “Days of running in the space” was shown on giant screens for an avid and compact audience – Biasony lost his life during the upsing on the Tahir place in Cairo), the uber talented Alem sisters, Raja and Shadia, created a “Black Arch” for the Saudi pavilion (a first participation for Saudi Arabia) esthetically bridging Western and Oriental cultures in a continuous and mutually beautifying mirror mechanism https://www.flickr.com/photos/49478590@N04/sets/72157626976440746/, the UAE caught the eye with Lateefa bint Maktoum’s photographs https://www.flickr.com/photos/49478590@N04/sets/72157626834439431/ and Irak appealed to the public and the critics with its “Acqua Ferita” pavilion. Above all “The future of a promise” (a Pan Arab contemporary art parallel event that was curated by Lisa Lazaar with brilliant pieces by Ayman Baalbaki, Lara Baladi, Yazan Khalili, …) captured our imagination and projected us into glorious futures*, with no prescience of their chimerical character. 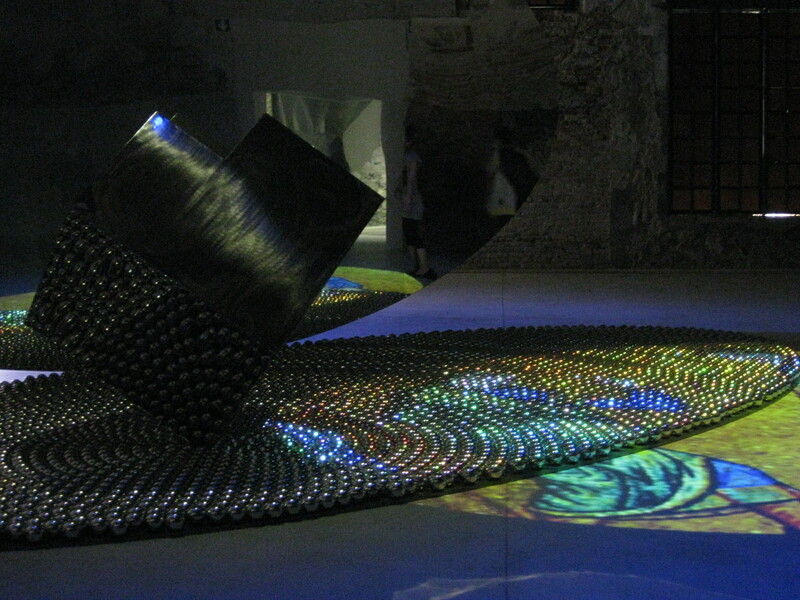 The 55th Venice Biennale (2013) under the artistic leadership of Massimiliano Gioni had the ambition to encapsulate contemporary art in its diversity building on Marino Auriti’s utopian “Encyclopedic palace of the world” project (The theme for the 55th Biennale was “An encyclopedic palace of art”). One would have expected a more technology oriented touch from the curator of the much acclaimed “Ghosts in the machine” exhibition ( http://www.newmuseum.org/exhibitions/view/ghosts-in-the-machine). His memorabilia approach, characteristic to all Biennales, left those who expected “a museal” consistency perplexed. It nevertheless brought up the deepest reflections on the nature of contemporary art. 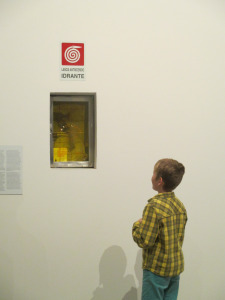 My then 8 y. son was no exception, sighing and repeating “why do they show this?” when he suddenly stopped in front of an extinguisher searching for the artist name without being able to find it – as it was a real extinguisher. “Why isn’t this piece considered art?” he protested “Why is it art according to you?” I asked. He pondered and replied: “it catches my eye, it’s exhibited, it has meaning because I can use it and… I decide this is art!”. And I decided that this is was the most powerful tour of the Biennale I had ever had for these questions are at the heart of contemporary art. The 55th edition of the Biennale was indeed marked by realism: a dive into failing economies with the Greek and the Portuguese pavilions (Greece showed Stefano Tsivopoulos “History zero” http://stefanostsivopoulos.com/index.php?id=98 and Portugal set for a ship docked at the Arsenale instead of a much too expensive pavilion in the Giardini to exhibit internationally renowned Joana Vasconcelos https://www.facebook.com/ruxandra.poysti/media_set?set=a.10152516472559762.1073741842.822449761&type=3) South Africa opened the “archives” of its apartheid past, Chile displayed a miniature model of the Biennale designed by Alfredo Jaar http://moussemagazine.it/55vb-alfredo-jaar-chilean/ but even moments of escape from representation with pieces such as J.D.Okhai Ojeikere portrait pictures, Haïtian vodou flags or Papa Ibra Tall textile sceneries were reaching far inward reality, relying on the “transformative power of imagination” to transcend the given and their immediacy (also applicable to the extinguisher). “You can close your eyes but you cannot shut your ears” said Hong-Kai Wang as a prelude to “The heard& the unheard – soundscapeTaiwan” (54th Venice Biennale collateral event at the Palazzo delle Prigioni), a fascinating exhibition where, among others, Hu Hsien Su explored the “sound of nothing” – an attempt to create an indie label with the music of those we don’t see (poor people living under a bridge, immigrants working in the harbor). The 56th Venice Biennale will have a voice for its entire duration in the ARENA , where Karl Marx “Das Kapital” will be read in its integrality. Marx used to create a clear divide between the Western and the Eastern worlds, it is unlikely he will generate unity now but in an artistic context, it definitely raises the feeling of a common history (for or against it), a feeling of belonging to the same humanity, capable of the same wonders and the same terrible mistakes that define our futures. It will be interesting to see what this reading evokes to the visitors, and if it can still help them apprehend the future. 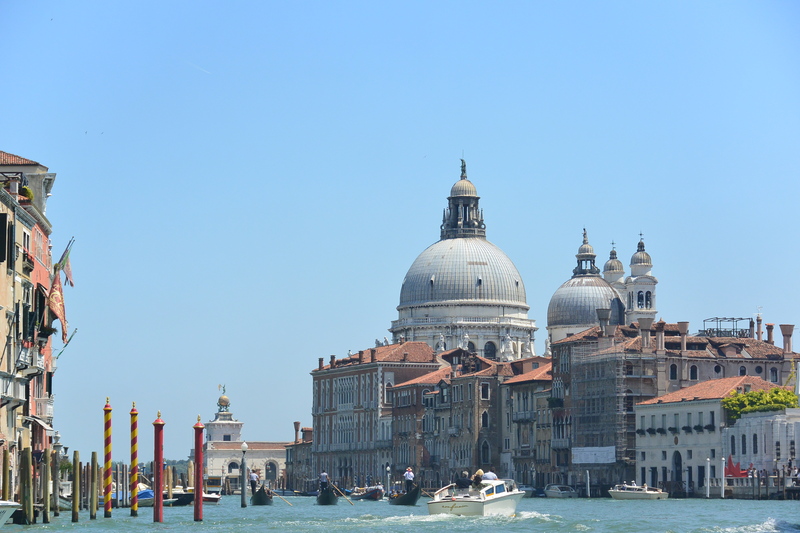 Having a glimpse into the world’s futures, the 56th Biennale plan, would comfort us as we so much hope for the best but live with the fear of the worst. In “Diary of the future” (2010), Lara Baladi poignantly tells about her father’s ailing health and death (presented at “the future of a promise”, parallel event 54th Venice Biennale) by organizing pictures of the cups of coffee and coffee grounds visitors shared and read with him until his last moment. If Lara Baladi’s rosace were the world, it would be full of hope in front of the ineluctable, full of care, love and beauty. When the ineluctable has happened, the care, the love and the beauty behind the piece remain eternally and art per se fulfills the promise of our futures. 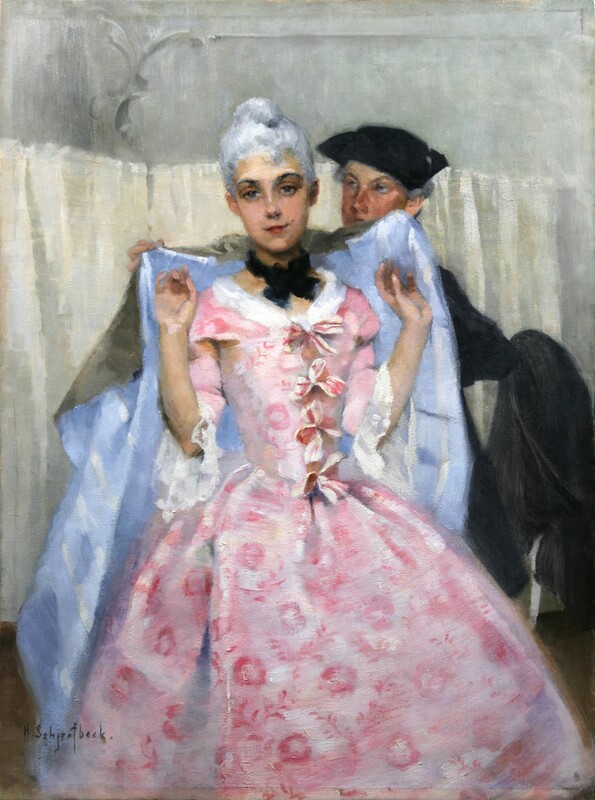 Laura Gutman, a French art historian, is one of the finest specialists of Nordic 19th-20th century artists, and of Gallen-Kallela’s work more in particular. To the occasion of a series of three high profile conferences that will take place in October and November (see conference details below), she will focus on some of the most prominent Finnish artists of the turn of the 19th century: Gallen-Kallela, Edelfelt and Vallgren and their artistic and cultural ties to Paris. 1) Artists from all over the world established in Paris at the turn of the 19th century – we all know of Picasso’s choice for this culturally boyant city and what it resulted in. What was the influence of Gallen-Kallela, Edelfelt and Vallgren’s stay in Paris on their work? Some of them spent long periods of their lives there, to the extent that Ville Vallgren’s nickname was “Ville de Paris” (Paris City). In Paris, they discovered and commented the last trends in art, made friends with people from different countries, and sometimes found a market for their works. 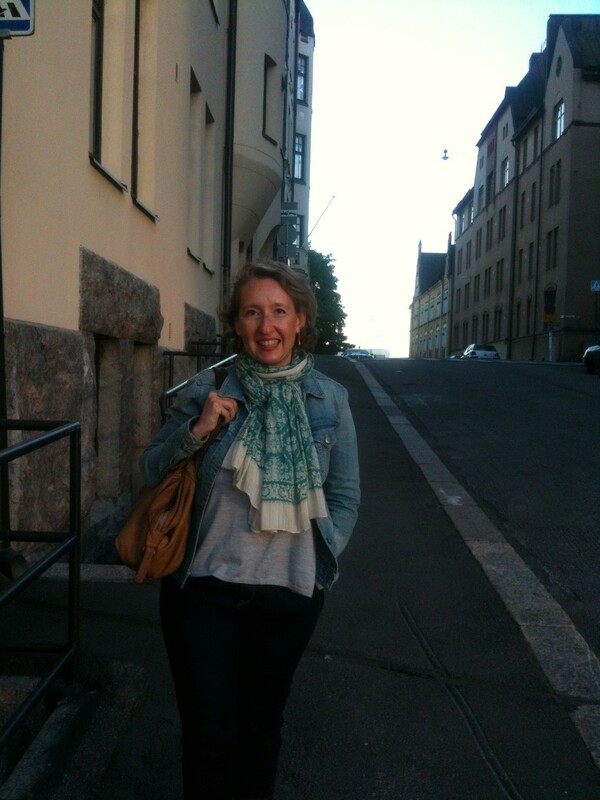 Securing success in Paris was a clever way to address their home market, and get commissions back in Finland. Albert Edelfelt’s outbreak with his portrait of Pasteur has remained a most envied glory and encouragement for younger artists. 2) The scope you have chosen for this series of conferences is very tiny: the artists’ Parisian address. What can we discover from it? necessary information related to artists who lived at a specific address at a certain time and it has proven to be the start of the most fascinating research. Edelfelt or Vallgren’s addresses housed artist studios, where they were well acquainted with their artist neighbours. In the case of Gallen-Kallela, his attic room was transferred from one friend to the other one for some years. Artistic cartography is new approach in cultural history, which helps understand the actual immersion of the artists in their environment, and their personal perspective on Paris. 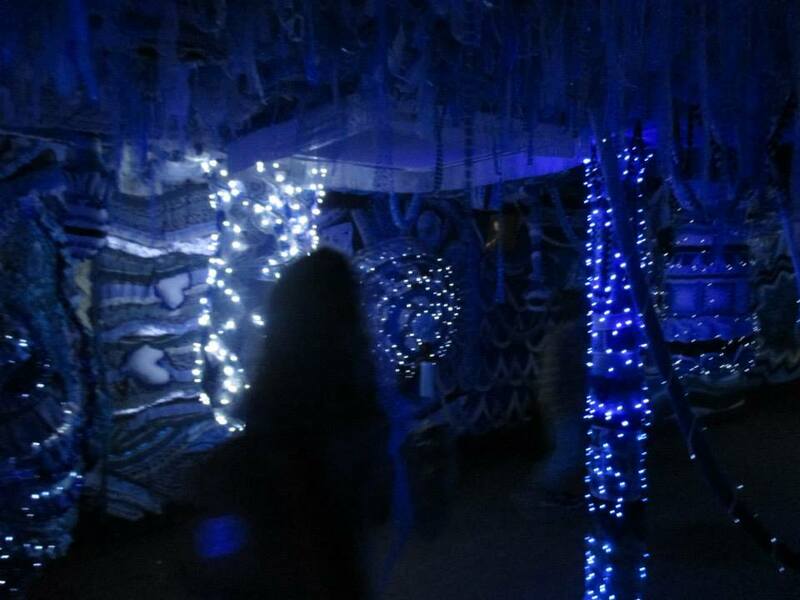 3) what exhibition are you preparing for the moment? I am working on a couple of exhibitions which will open in Finland and in Sweden in 2015 and 2016, but I cannot reveal their topics yet. Soon I will let you know! All I can say for the moment is that they are related to the cultural transfers between France and the Nordic countries at the turn of the 19th century. Joanne Grüne-Yanoff latest show “Happy Thoughts!” has just opened at Detroit Stockholm* in Stockholm, an opportunity to continue a conversation we have kept alive for several years now. 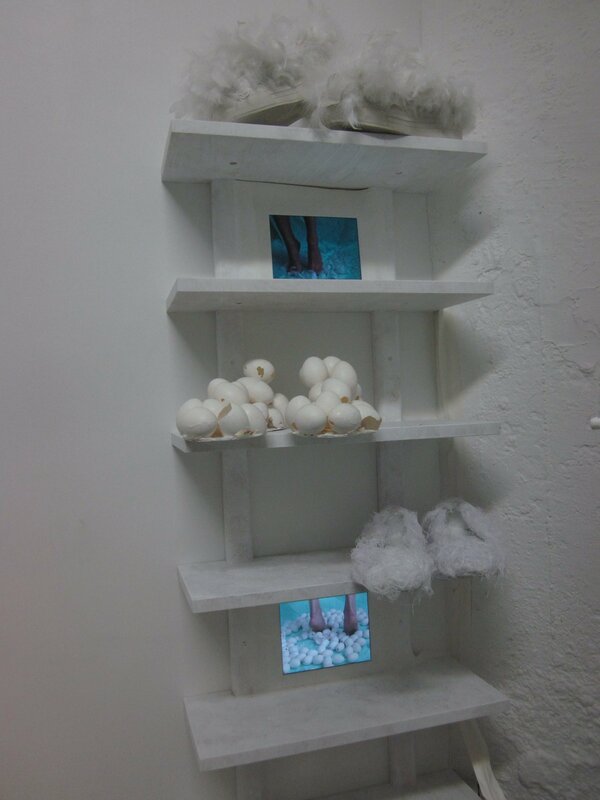 Art Hot Spots: Joanne, in each consecutive show, you display increased virtuosity in the use of your own vocabulary. Both your last Berlin show “Instructions for Flight”, and your current Stockholm exhibition, ”Happy Thoughts!” demonstrate formidable and increasing strength. Is the title “Happy Thoughts!” linked to the happiness from our daily little gestures as the choice of a house with rooms and some furniture pieces might suggest, or are you referring to our human condition as portrayed today, an imperative to be happy, no matter what. Joanne Grüne-Yanoff: There is a sound piece in this show called “Happy Thoughts” which contains a series of overlapping voices. One voice asks: “Are you okay?” Another assures repeatedly that they are fine, and a third urges in increasingly insistent whispers “Think happy thoughts! Happy thoughts!” There is a clear disparity between what is being claimed and what is being hidden. I am interested in that space – between what we say and what we feel, between what we aspire to project, and be, and what we hold secretly inside that might conflict with that ideal. In this exhibition Happy Thoughts, I examine these small, conflicting gestures, both physical and verbal, as survival strategies that we utilize in order to traverse the space between our aspirations and our realities. JGY: Probably also some willingness to get conscious about that process; to sift through and select the most resonant moments; to strap that unconscious, organic process on to a deliberate structure. AHS: I find it fascinating how you embrace the use of new media to enhance the sensory experience that your exhibitions often are. In Helsinki, four years ago, you used suspensions made of PVC, since then we’ve seen video works in your Berlin and Luxembourg exhibitions, the amazing Polaroid series from the last Berlin show (http://www.pinterest.com/pin/207024914094374980/ ), and now, in this Stockholm exhibition, you incorporate sound installations, video installations, sculpture, and also a return to more traditional techniques such as figurative images on paper. With all of this, you continue to pursue the same themes, with the same “graphemes” (threads, butterflies, spines, hands, feathers etc.) and their sensory translation. How do you perceive the evolution of your own language? 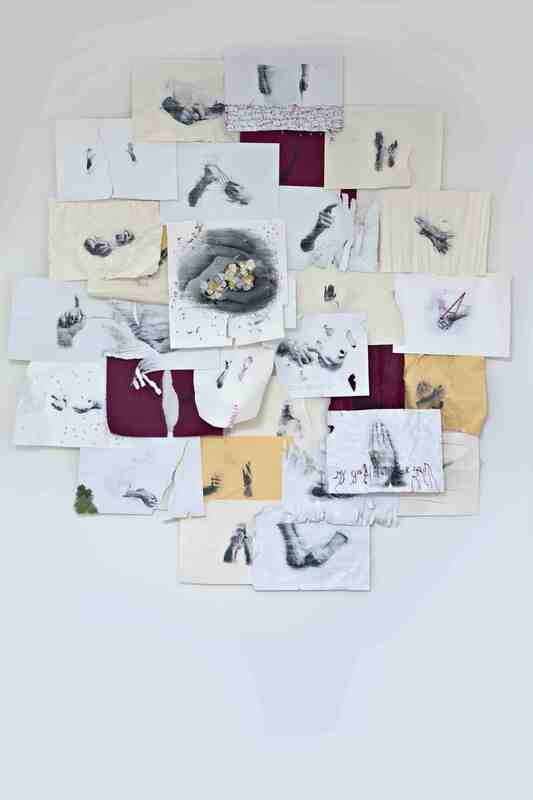 JGY: My work concentrates on small gestures. They express transient emotional states that circle back repeatedly until they inscribe themselves in our personal grammar — in our small gestures. 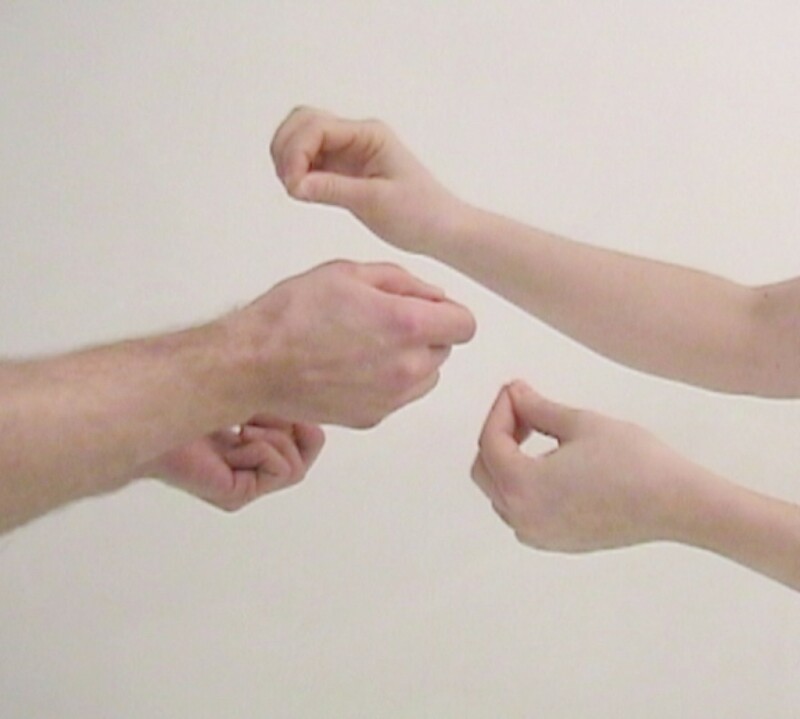 I isolate specific body parts, and voiced phrases, to explore these recurring unconscious actions that embed our gestures to communicate through time. against walls, un-creased and stroked, sewn up, and cut into, images are accompanied by the sound of cracking eggshells, slow-falling feathers, groans of effort, urging voices, the slowness of handwork, the quiet rhythm of breathing, the shock of violence. I am always circling back to the same ideas. To understand those ideas better, I am consistently drawn to specific figurations that resonate with me symbolically, with which I layer materials that contain particular meanings to me. Over the years, this visual grammar has been continually called upon, and so it has become more robust. AHS: The challenge at Detroit Stockholm, it seems to me, was the one of occupying the space and creating a sensory experience. JGY: I met a terrific curator at Detroit Stockholm, Sheena Malone, who has been working with me to put “Happy Thoughts!” together. She came up with the idea of putting the “Happy Thoughts!” sound piece in the bathroom, which I thought was a fantastic idea. With that at its core, Sheena started creating small rooms in which to allow these secret stories that make up the show, to unfold. 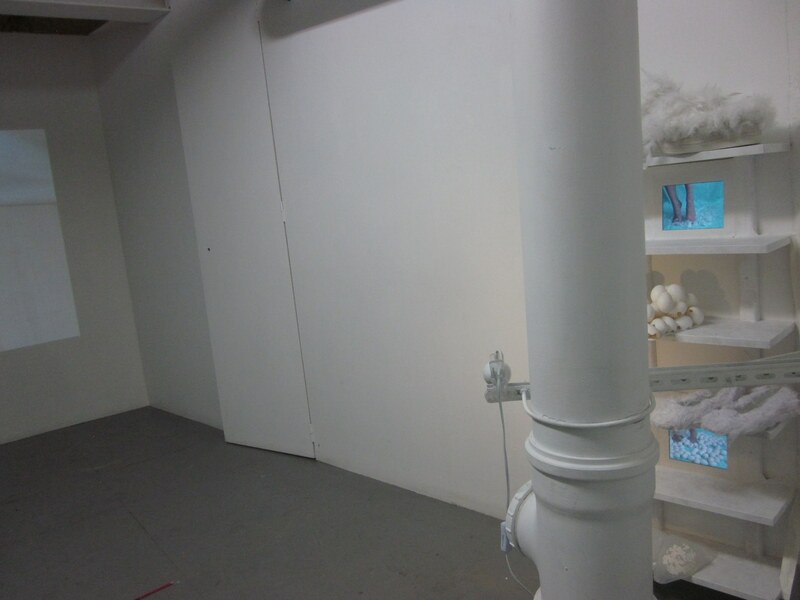 For instance, she cleared out a hallway broom closet in which now hangs a collection of spines. There’s a strap-on spine for courage, another to feel airborne, a spine for creating connections, one to find strength, and so on. 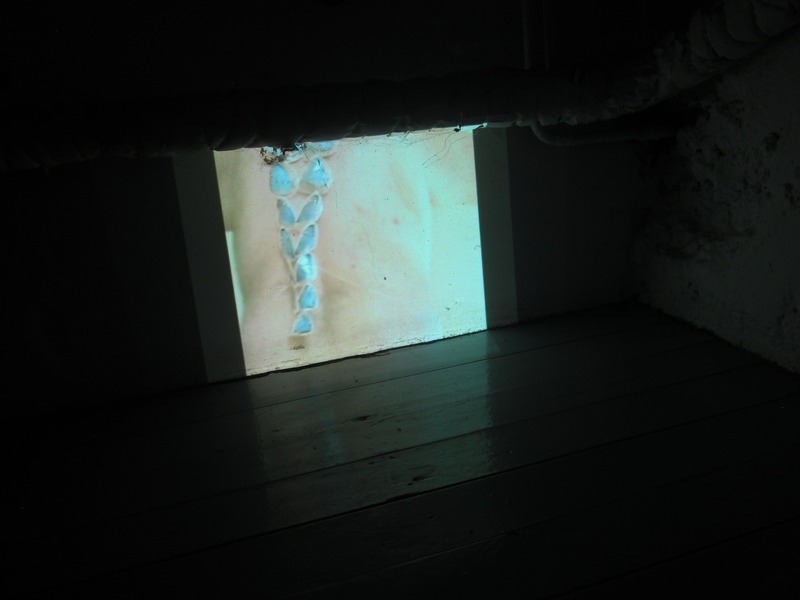 Beneath, projected on to a corner of the closet floor, a small film of a naked woman’s back is projected, as she wraps and unwraps herself in one of the spines. Sheena looked into my work, saw its conceptual core, and created an exhibition that physically embodies the internal narrative of the work. I feel very lucky to have such a sharp co-conspirator, and to get to create a show in such an experimental space. AHS: I find the video “Fly!” very humorous. The shoes have an open mouth like beasts talking as the voices in the video drive the jumper “you can do it!” In theory, these mouthed shoes should help you fly. Why is it so difficult? What prevents us from flying? JGY: Maybe our need resides more in the trying than the flying itself. AHS: The jump, then, is another gesture. 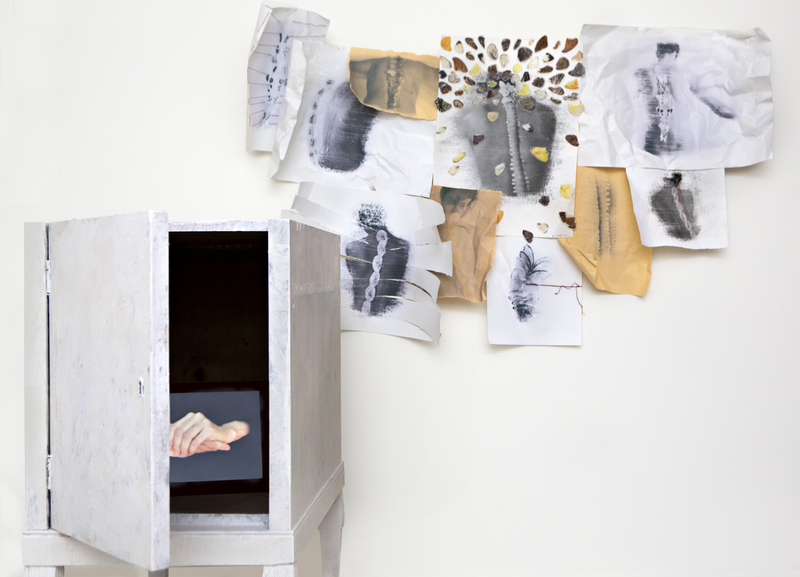 In your last Berlin exhibition you focused on hand gestures, which continues now in your current exhibition at Detroit Stockholm. 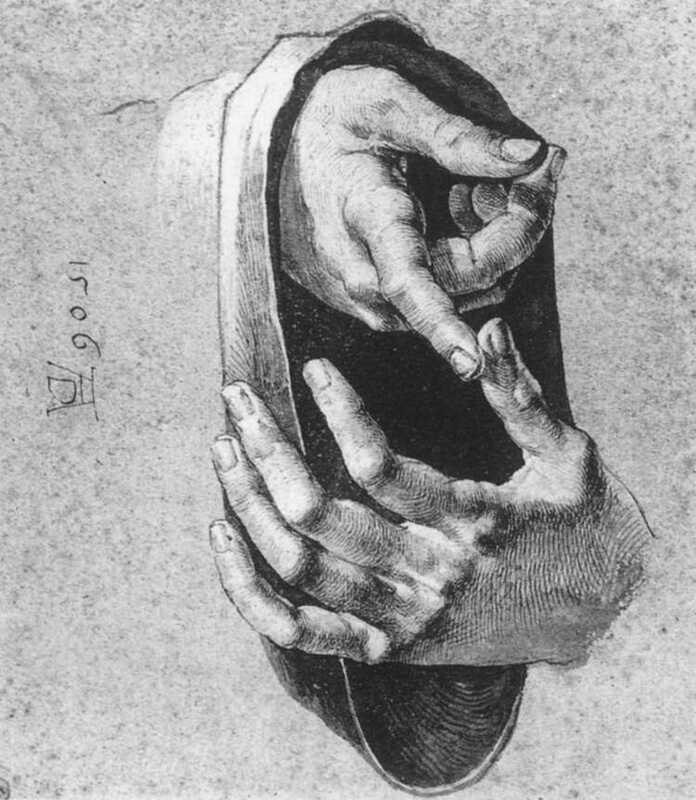 In Dürer’s work and all the Renaissance and classical painters, hands had their own vocabulary beyond their pure representation. 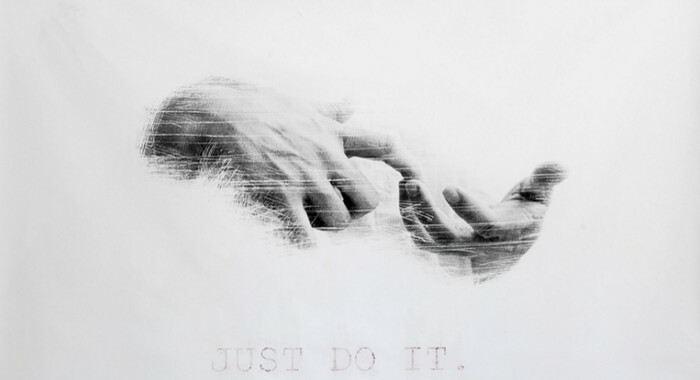 Hands can be a symbol of our creative ability, and also the spiritual dimension. Nowadays, hands keep their creativity status, but what about the spirituality dimension – with your work it seems more present then ever (“what goes beyond us”)? 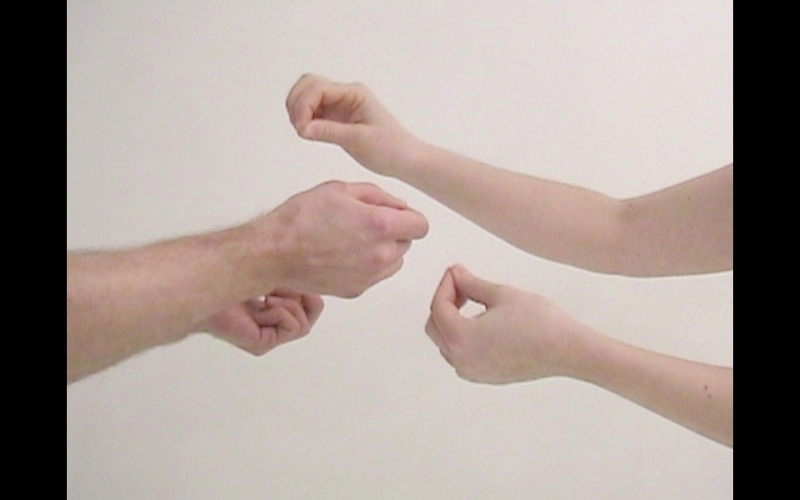 JGY: Research on gesture has shown how people use their hands to help manage the burden of thinking and communicating. Studies show that people unconsciously use verbal gestures as well. Although they typically happen with little intention on the part of the actor, all these gestures expand communication, providing an additional channel of expression that can be understood by an audience. sideways glance, bite our nails, modulate our voices, rub our hands together, tap our feet, talk too much, or not at all. Such passing signals pile up to form some part of who we are and how we navigate through. They are secret stories that we carry within. For the Berlin show you mention, I researched specific hands through history to develop a catalogue of gestures that I find powerful and to which I referred. The Dürer image of the hands that you refer to is, of course, one of the sources for the piece Just Do It. For the current exhibition at Detroit Stockholm, that work continues in a piece of layered papers containing many different hand gestures. AHS: And the spiritual connection? JGY: I ran into this question recently, as I have been collaborating with the classical music ensemble Stockholm Syndrome. 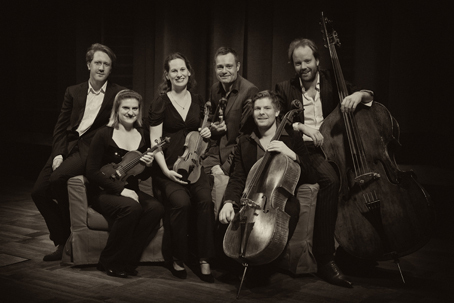 In a few weeks, Stockholm Syndrome Ensemble will perform Piano Quartet by the composer Peteris Vasks. For this performance I have created a video to premier while they play, which is partially informed by a quote of Vasks: Most people today no longer possess beliefs, love and ideals. The spiritual dimension has been lost. My intention is to provide food for the soul and this is what I preach in my works. The piece I made to accompany the Vasks is a pair of hands on either side of a table covered in a pile of threads. At different points the hands are exploring the threads, tying knots, creating connection. Maybe part of what goes beyond us gets created in our enduring search for connections. 23rd April 2014 at 19:00; Artist talk with Joanne Grüne-Yanoff and Stockholm Syndrome Ensemble’s Simon Crawford Phillips around 20:15 before the Act II of the concert.